It was seemingly unavoidable. With all of the other mashups, fan edits, and remixes that people have derived from Mad Max: Fury Road, it was only a matter of time before Star Wars somehow entered the mix as well. That’s just how the internet rolls. Luckily, this mashup of Star Wars and Mad Max is very well done and tightly integrates characters and F/X from both franchises to produce something that’s actually impressive. 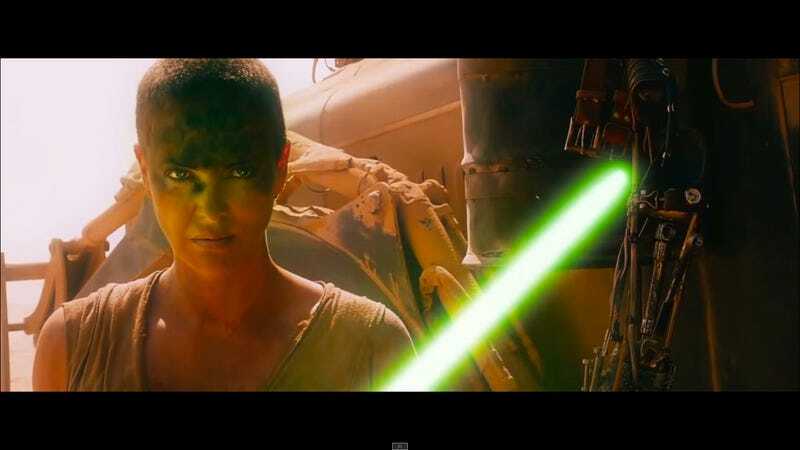 Krishna Shenoi put together the video that asks, simply, “What if the world of Mad Max: Fury Road was part of the Star Wars universe?” The answer is a lot of dogfights and lightsaber battles, along with Tusken Raiders and Boba Fett. It’s a lovely day, oh what a lovely day, to see this geek marriage carried off so successfully.